Today is Independent Bookstore Day, an unofficial but very important occasion. 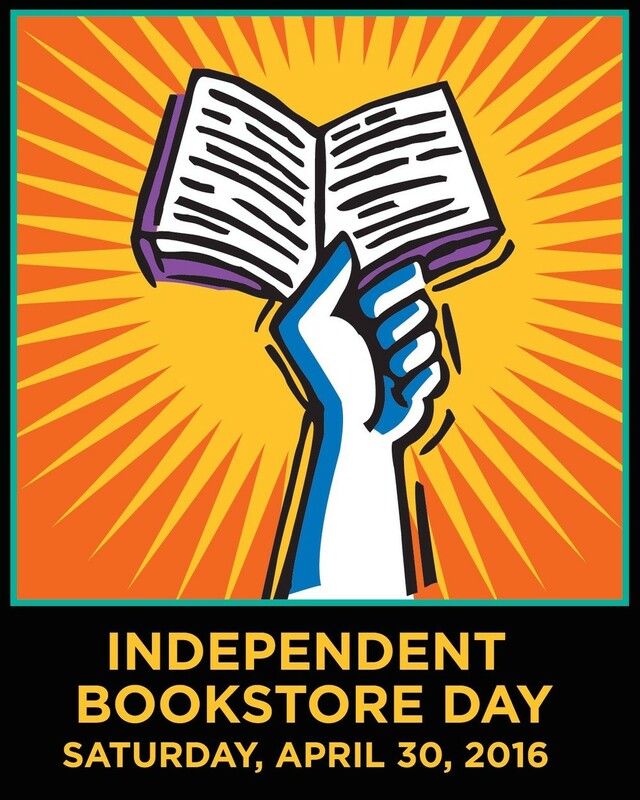 As the San Francisco Chronicle reminds us, this celebration was “conceived as California Bookstore Day in 2014 … [but] went nationwide last year, expanding to 350 stores.” This is your opportunity to invest in the future of reading and especially the survival of neighborhood bookshops. Should you have such a business within walking or driving distance, make a point of visiting there today and dropping some dollars for your next great reading experience. Let’s face it: If we want independent bookstores to still be around 10, 20, 30, or more years from now (as I most certainly do), then one way to help make that happen is to shop there ourselves. Often! Even as you read this, I am happily driving around the Seattle area with a pair of compatriots, taking part in the so-called Champion Challenge. As this city’s cheekiest weekly tabloid, The Stranger, explains, the goal here is to visit at least 17 of the 21 participating indie stores. If we can do that before closing time this evening, we’ll each earn a 25 percent discount—at every one of those retailers—that will be good until next April. “If you think it’s impossible,” the paper adds, “think again—last year 42 nerds earned their wings, and saved a bunch of money on book purchases.” OK, so now I’m a certified book nerd—not that I couldn’t have been pegged as one before.